Recommended for Designers, all levels. 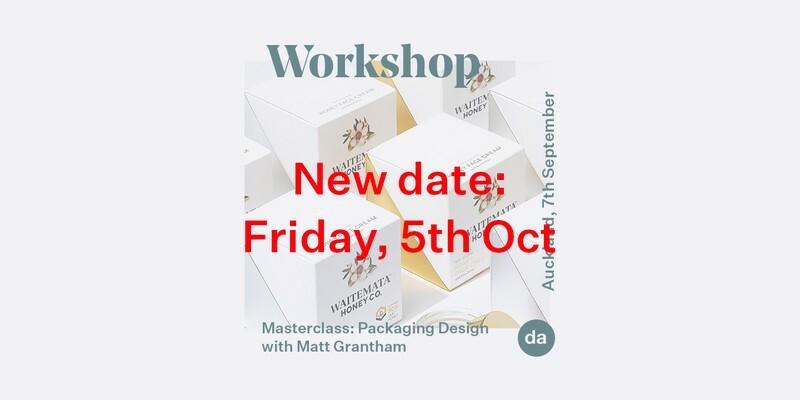 If you have had little or no experience in packaging design and need an introduction to the field or would like to strengthen your skills and creative process, this class is for you. With over 20+ years of experience in brand and packaging design, Matt has worked on large-scale international brands through to small-scale ‘garage’ projects. Gaining a wide breadth of experience, covering brand and name creation, brand story building, copywriting, packaging, NPD, digital and corporate identity. As Creative Director of Onfire Design in Auckland, Matt currently oversees projects through the studio, taking the lead on project research and design strategy while proactively working with each client to get the most out of their brands — his experience is undoubtedly first-hand. Through his own journey, Matt will guide you through the importance of developing and communicating a compelling brand story on ‘pack’. Understanding the client/their business, their products and consumers, to be empathic to them as well as the retail environment the product will live in. To dissect what the client wants to achieve while keeping an eye on opportunities they might have overlooked. Case studies will give you examples of how to tackle a new product with a ‘fuzzy’ brief, and what to do when goalposts move (Matt tell us they always do!). We will finish the session by discussing where the future of packaging is heading to.